The full circle of being created from and buried in soil is appealing to many, but there is a new, unconventional alternative that might just be our future. 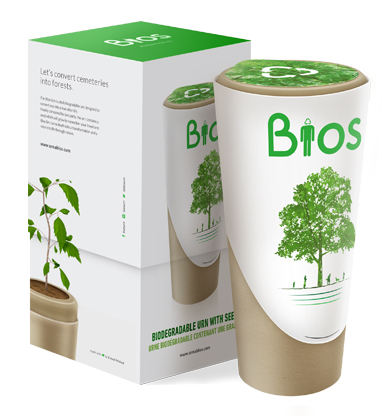 Its idea is to become a tree after death, helped by the Bios Urn, a biodegradable urn that turns the ashes into a tree. What’s more, you can pick the type of tree you want to become! Namely, the ashes are stored down below a soil mix where the seed is embedded, and nourish the tree. Moreover, the Capsula Mundi Project is another burial method, developed in Italy, by the designers Anna Citelli and Raoul Bretzel. 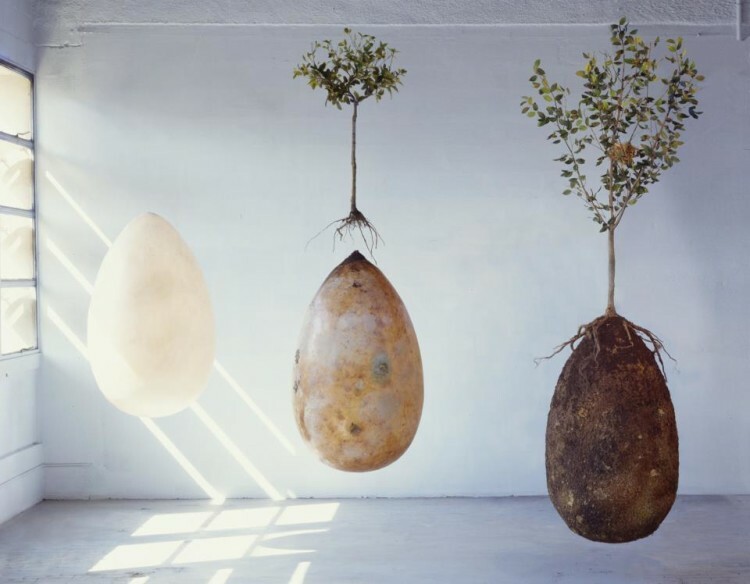 Their idea was to develop an organic, biodegradable burial capsule that will encapsulate the body in a fetal position, and turn it into nutrients needed for a tree that will produce out of their remains. The structure of the deceased is placed in a starch-based plastic pod, buried in the ground, and is 100% biodegradable. Above it, a seed or a young tree is planted, and when its roots start to grow down, it will use the provided nutrients to develop. One can choose the type of tree s/he will formulate in, and the family members can visit the deceased in the sacred forest. However, even though this project is waiting to be approved, think about it: such projects are able to revolutionize our view of death. Instead of going to the cemetery, we can do to such gardens and make a picnic next to the tree of our loved ones.